One of my favorite butterflies of the southwest is the Western Pygmy-Blue (Brephidium exile), the smallest butterfly found in the USA. 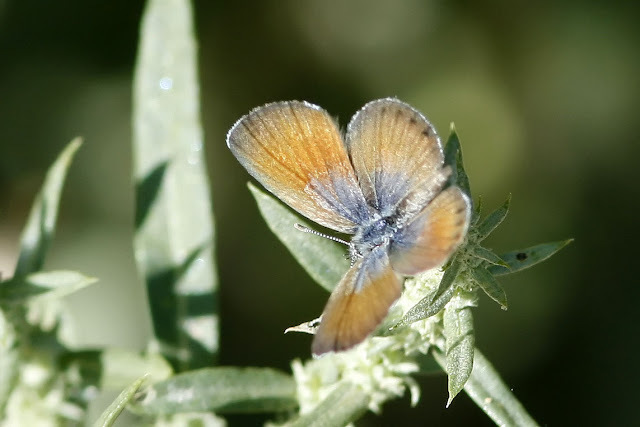 This butterfly is so small that most people don't even realize it is a butterfly at all. Its tiny-ness and abundance make it a wonderful subject for photography, if not a frustrating one. For an idea of the size of this butterfly, consider the "pinky" fingernail of the average mail adult. 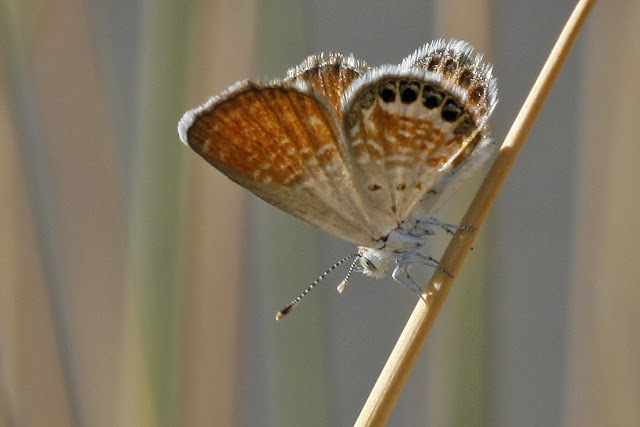 The Kaufman field guide, as great as it is, actually overstates the size of this butterfly. One of my favorite photos gives excellent perspective - the photo below is one on a blade of grass. If you want to spot one of these, check around Russian Thistle (aka tumbleweed), salt bush, and many types of ornamental grasses native to the southwest. 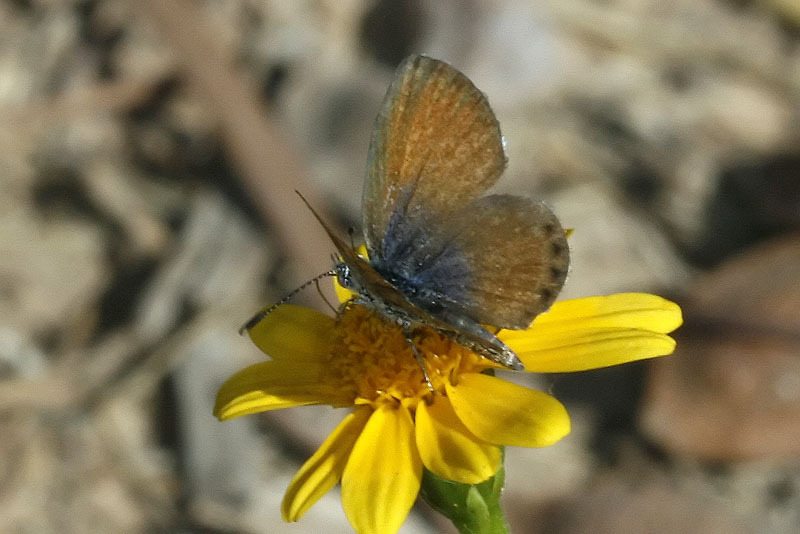 Lastly, this Western Pygmy-Blue was spotted at San Pedro in early September this year.